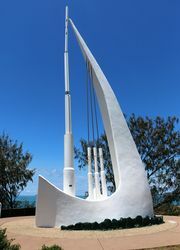 The Singing Ship commemorates Captain Cook and his exploration of the bay in May, 1770. 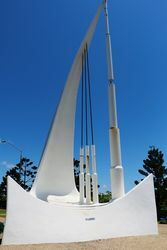 The monument represents the billowing sail, mast and rigging of his ship Endeavour. Concealed organ pipes use the sea breezes to create eerie music. 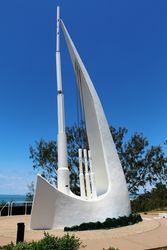 The Singing Ship project was adopted by the Rockhampton and District Historical Society to mark the Captain Cook bi-centenary in 1970. The target of $5000 was raised mainly through small donations although the surrounding shires, the Lions Club, the Emu Park Progress Association and the Rockhampton Rodeo Picnic Club gave more substantial donations. 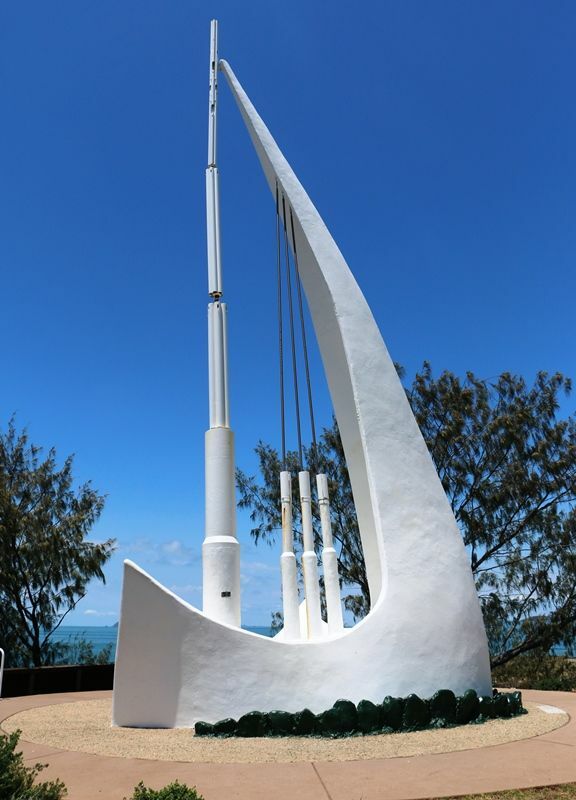 Steve Kele, a Rockhampton steel and concrete contractor was responsible for the job, the erection of a forty foot high steel and concrete structure reminiscent of a ship's sails but constructed in order to 'sing' in response to the prevailing winds. Steve Kele donated $1000 worth of labour to the project. 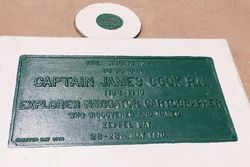 Two plaques, unveiled on May 30 1970, are in honour of Captain Cook and the artist, engineer, acoustician and builder. 26 - 28th. 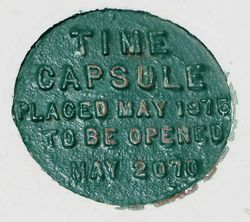 May 1770.